AshWorth 1607, 3 Bedroom Beachfront Condo, Hot Tub and Free Wi-Fi! 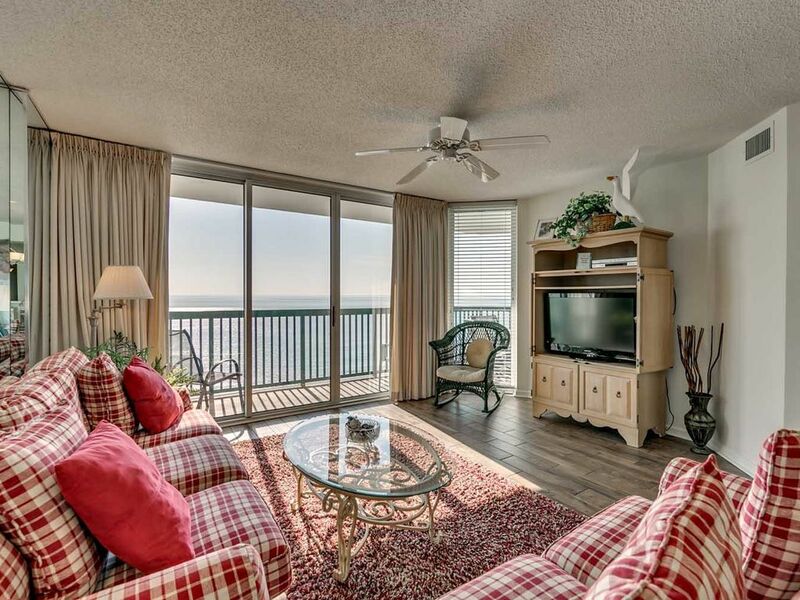 Escape the ordinary with this gorgeous, oceanfront condo, Ashworth 1607. Enjoy the luxuries of home in this 3 Bedroom, 3 Bathroom condo with spacious bedrooms, a fully equipped kitchen, washer and dryer, dining area, and large living room. Gaze out upon the magnificent Atlantic Ocean from the vast, sliding glass doors in the living room and master bedroom, or step out on to the spacious private balcony for some of the best coastal views in the country. This condo comfortably accommodates 8 , and bedding includes 1 King and 1 Queen and 2 Doubles. This condo is full of modern appointments for the beachgoers of today with flat screen TVs in all the bedrooms and living room, as well as designer furnishings; the entire condo is uniquely decorated to keep guests in a tropical state of mind. This slice of paradise is waiting for you and your family. Experience the epitome of luxury with the Ashworth 1607. ** For your convenience and vacation enjoyment, all details are covered for you - linens and towels are INCLUDED in our rates and your beds will be made for your arrival. All rates also include departure maid service! Highly acclaimed for its luxury and location, the AshWorth provides premium 2, 3, and 4 bedroom condos on historical Ocean Boulevard in the heart of North Myrtle Beach. The AshWorth offers their guests the same luxuries that can be found in 5-Star tropical resorts around the world. Enjoy fabulous amenities that include an indoor pool, outdoor pool, kiddie pool, outdoor lazy river, large outdoor hot tub, sun decks, grilling areas, and a fitness center, all just footsteps away from the beach. Guests will further enjoy the luxuries of the AshWorth from inside their private condos, boasting granite countertops in the fully equipped kitchens, washer and dryers, spacious rooms, and designer furnishings. Only a few steps from the famous Main Street, the AshWorth is at the center of what a vacation to the Grand Strand is all about. Activity is year round on Main Street; enjoy grooving the night away to the state dance, The Shag. Maybe watch some fireworks from your spacious balcony, or walk down to catch a free summer concert at the Horseshoe while the kids enjoy the seasonal oceanfront amusement park. Experience a beach vacation that exceeds expectations with the AshWorth. Easy check in and out, oceanfront, roomy and comfortable, plenty of amenities, close to everything!